I would like to purchase the two items from the local shop. One is footed bowl I think it looks like Japanese but they said Chinese. The other one is plate the seller told me all of them are antique. Please help me to identify the date of these. Thank you very much for your comment Peter, I will pass it the price for the plate is too high for me. 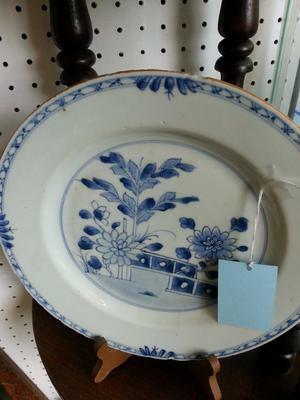 The decoration of the plate is a bit odd; never seen this style. 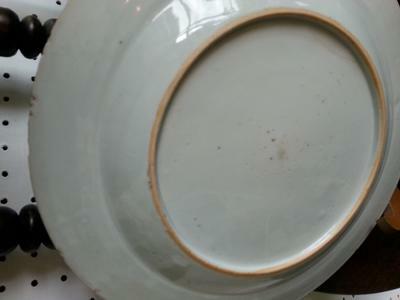 But, the underside shows that the plate is Chinese, 18th century. 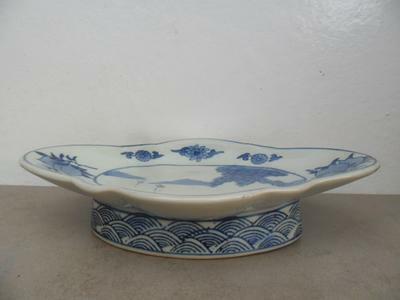 The footed bowl is a shape typical for an offerings bowl (put on the altar). You have not uploaded a picture of the decoration. What I can see from these pictures is that the glaze and blue color on the foot look as if they were 20th century. I would not buy it.